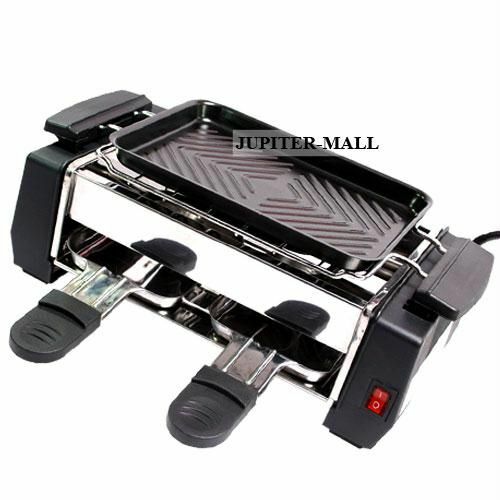 The indoor electric raclette grill by Kitchen Worthy is perfect for entertaining friends in a relaxed do it yourself setting. This is a combination grill & broiler - brown, broil, grill, toast or warm; this grill does most anything you need. 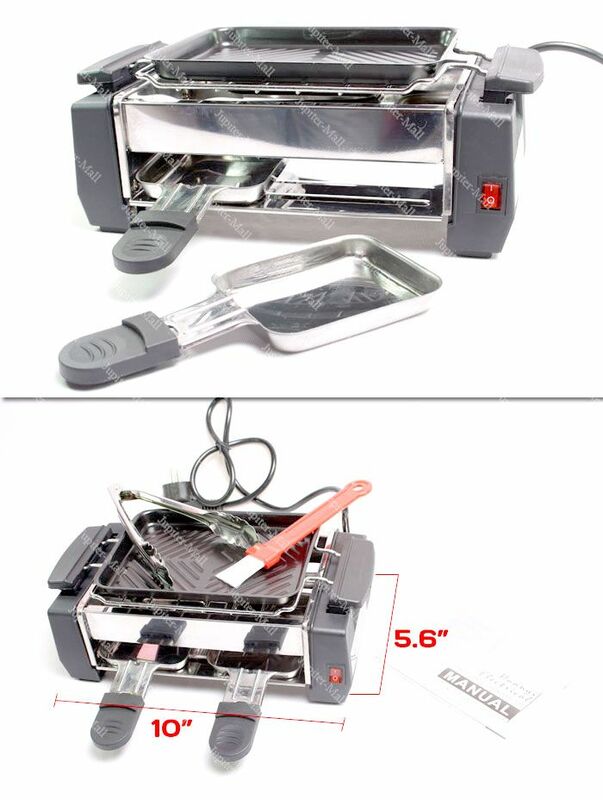 Grill any food on top of the removable non-stick plate. 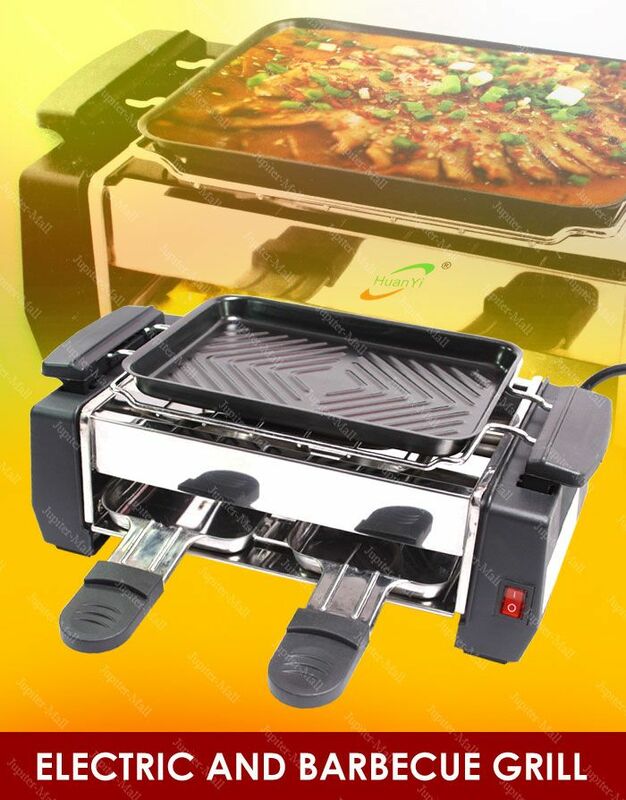 Broil meat, vegetables & cheeses in bottom serving trays. 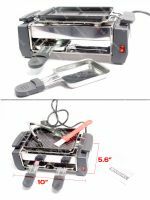 Easy to clean removable components.